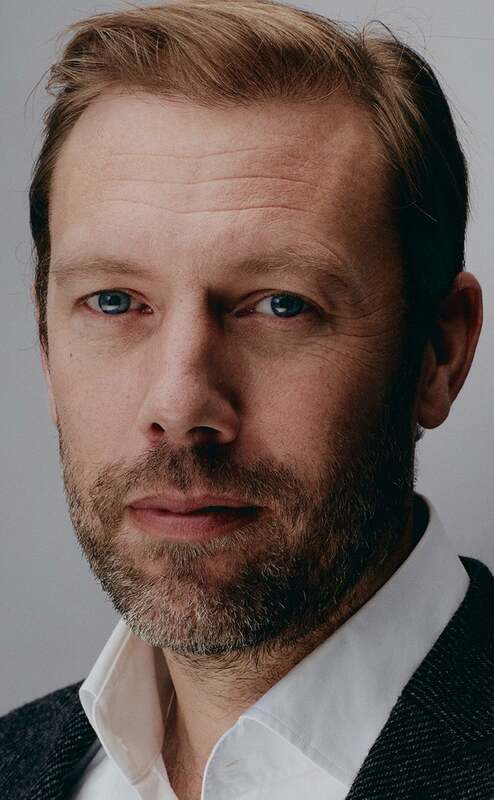 Danish actor Jakob Cedergren has a prolific career in Scandinavia, but he has finally caught the world’s attention with his outstanding performance in Gustav Möller’s The Guilty. 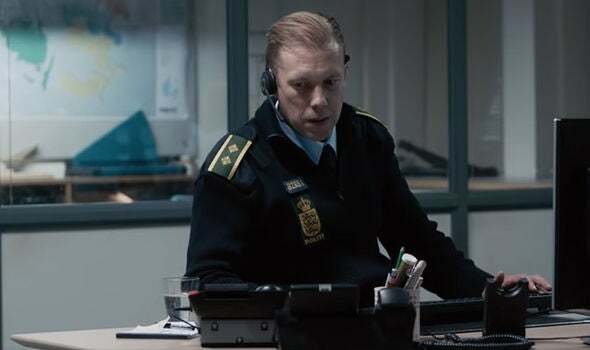 He plays Asger Holm, a policeman working the emergency dispatch phones at the police station. As he receives a call from a woman who is being abducted in a van, he gets emotionally involved in looking for the woman and her kidnapper. As the film won the Audience Award in World Cinema at Sundance in 2018 and was shortlisted in the category Best Foreign Language film for the Academy Awards, 46-year old Cedergren might finally get the international acclaim that he deserves. You shot The Guilty in 13 days and in chronological order. Since you are on camera the whole time, the process must have been very intense. How was your experience of shooting this film – I can imagine it was like no other experience you have had? No, it was different in many ways, but it was a great experience. I got connected early in the process and this was Gustav’s wish due to the character of the film and story. We thus had a long good run, first with Gustav and Emil (Nygaard Albertsen), and then Gustav and me, working on it. By the time we started shooting, we were well prepared, knowing that we had little time. On top of that, the whole team was great and really worked as an entity. As it was their first feature film, the energy was both playful and intense, and you could tell that they all knew each other from film school so I joined a very well playing orchestra with a great conductor. Actors often talk about chemistry when they talk about working with their colleagues. What was it like for you only getting to act with their voices (for most of the time)? It worked really well because Gustav set it up perfectly for all of us. Making it all live, and creating a little room down the hall from where we were shooting, where they could act it out in real time. It gave us all the feeling of authenticity that helped everyone’s performance. How significant is this role for your career – not only in terms of the experience of carrying a movie to the degree that you do but also in terms of its success – you being nominated for a European Film Award for instance? That is very hard for me to say. I feel very lucky to have been a part of such a project, as I do with many projects I did before this. This one is special in the regard that it is a first feature for so many of the team members, and for a newly started company. So it makes me even more proud and happy that it turned out so well. I feel very blessed to have met this group and very grateful to have met a director that had such faith in me, giving me such a great project to work on. All the nominations and awards are the icing on the cake, and you are just great full for it. Jakob Cedergren in a scene from The Guilty. The success story of this film started with the world premiere at Sundance in 2018. How surprising was it for you that a small experimental Danish film made by a debut director appealed to a wider international audience? I always believed in the film and Gustav. Otherwise it is really hard to do such a thing, but of course, none of us had any idea how it would be received. I think the greatest joy in all of this been meeting the audiences around the world and experiencing how they have had an amazing experience watching the film. I liked that they were caught by surprise. For me personally, it is one of the greatest feelings in the world when that happens and it´s quite rare, so seeing that happen is always a surprise but at the same time what you hope for. I will never forget that first screening at Sundance. You have a long list of Scandinavian movies and TV-series on your resumé. Do you have a wish of extending this list with international projects too – and do you think that The Guilty will open up doors for you? Those things are hard for me to predict. I have had the fortune to work many different places in the world, and I enjoy traveling and working very much, so I´ll take it as it comes with an open mind. I am not closing any doors, and not chasing something specific either. Did you already receive any offers? What are you doing next? I don´t know what the next thing will be yet. Finding good projects with great people. What was your reaction to Jake Gyllenhaal taking over your role in an American version of The Guilty? That is yet another gift to the film, so that makes me very glad. You were born in Lund, Sweden but grew up in Denmark (and lived in very different places such as Wisconsin and Rome) which nationality do you identify with? I guess you can start with Scandinavian and then European and then Western – and then a citizen of planet earth. Culturally, I am probably mostly Scandinavian. You act both in Danish and in Swedish. Which language do you feel the most comfortable acting in? And would you be ready to act in other languages? I have acted in five different languages up until now, mostly in Danish and Swedish. I have had great experiences with it.